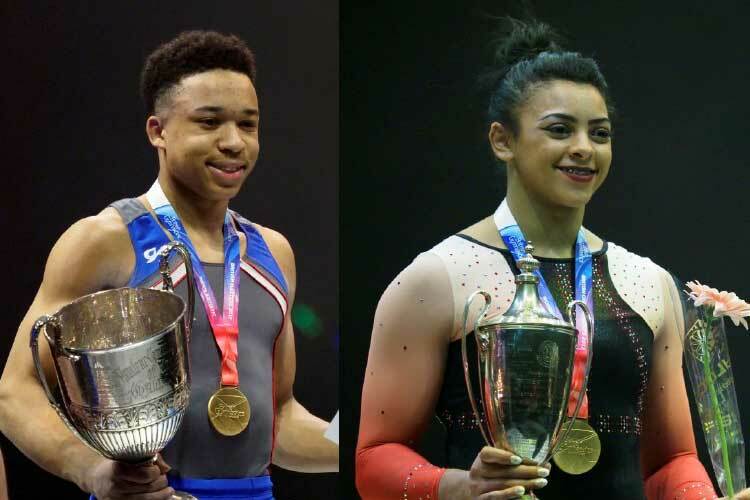 The 2017 British all-around titles have been decided, with first year senior Joe Fraser from the City of Birmingham taking the men’s title and Olympian Ellie Downie winning the women’s crown. 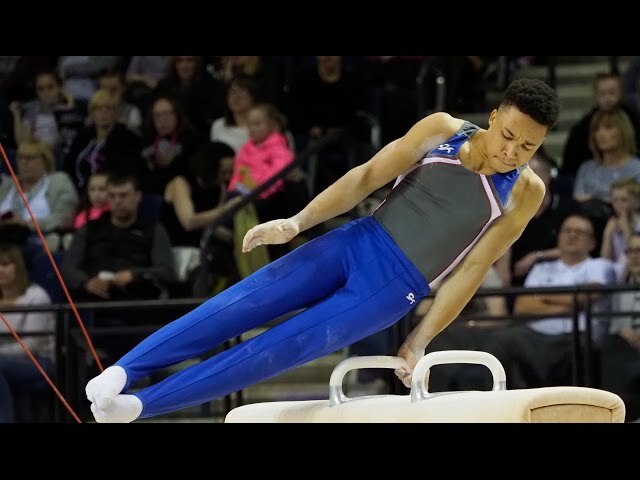 18 year old Joe Fraser executed his routines well throughout, showing confidence beyond his years. 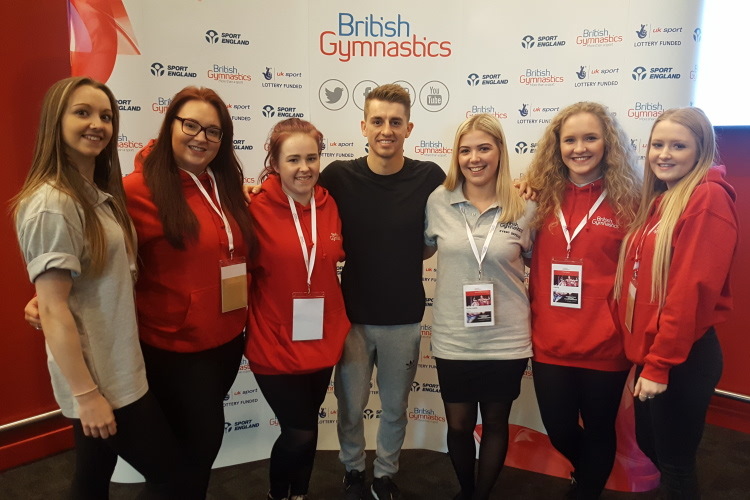 The Youth Olympic Champion wowed the crowd in particular with his high bar routine to score a total of 82.100 across the six pieces of apparatus. It was joint silver in the end for James Hall from Pegasus and Birmingham’s Dominick Cunningham, who although made some errors, showed difficult work and great promise moving into this next cycle. Finishing in 4th was Sam Oldham from Notts who unfortunately had to count multiple falls which left him out of the medals with 80.600. In 5th and 6th were Loughborough Students pair, William Trood (77.850) and Gabriel Hannah (74.600), a great achievement for Loughborough as the only University club represented in the competition. The all-around event for the men served as their apparatus finals too. 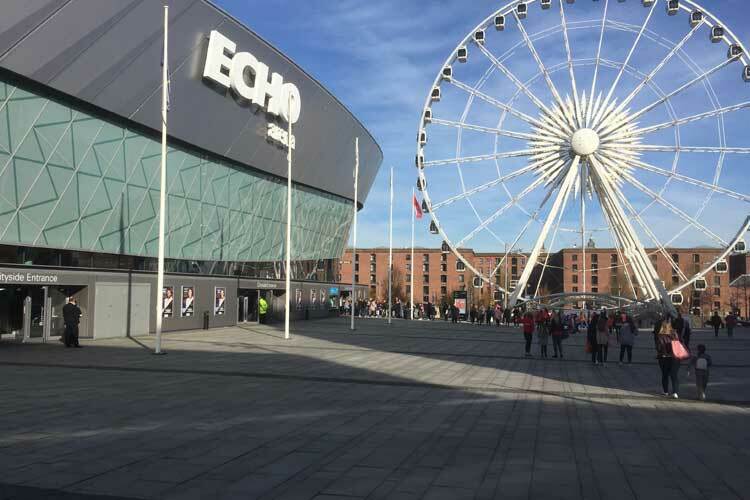 Frank Baines (Southport) won the floor title, with Dominick winning the vault crown, James and Jac Davies (Swansea) sharing the top spot on pommel, Courtney Tulloch (Pegasus) winning the rings, Sam Oldham the parallel bars and Joe the high bar. 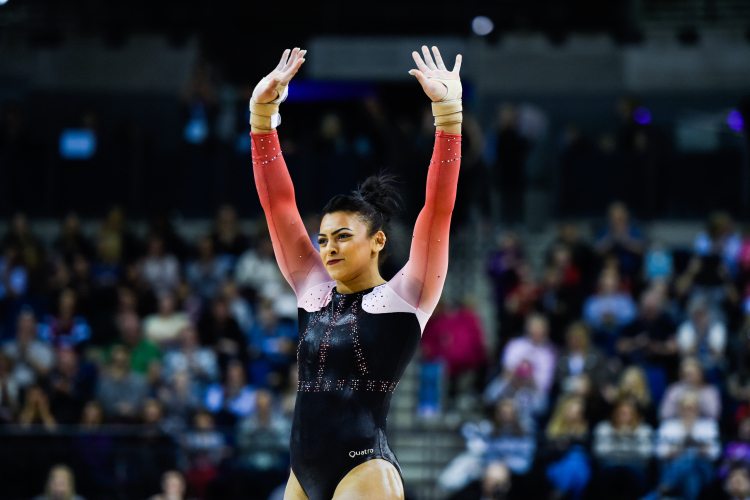 In the women’s event, Ellie Downie looked fresh and ready, even after a busy summer in Rio last year. 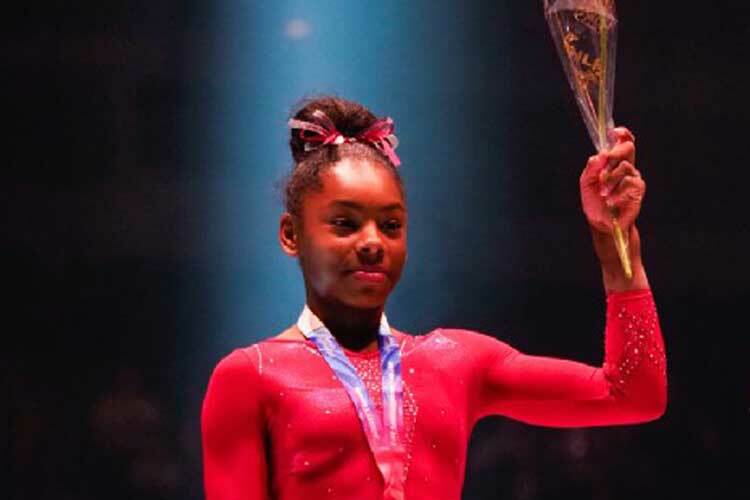 Performing difficult work, including a new double twisting double back somersault on floor, despite a fall on the bars, she still comfortably took the title with 55.350. Taking joint silver were Park Wrekin’s Alice Kinsella and Phoenix’s Maisie Methuen who both stepped up to senior level for the first time in 2017. Alice executed a stunning beam routine which included a solid free cartwheel layout layout, with Maisie ever the reliable performer, excelling particularly on vault with her strong handspring pike front half out. Both girls scored 53.300. Finishing in 4th place was East London’s Georgia Mae Fenton who although had to count some falls, produced a sensational bars set and shows great promise for the future scoring 51.950. In 5th place was the Academy’s Phoebe Turner with 51.400 and in 6th was Ellesse Oates from Park Wrekin 50.550.